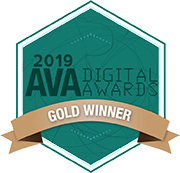 The MEMA website was honored with an AVA Digital Gold Award. The AVA awards is an international competition that recognizes excellence by creative professionals responsible for the planning, concept, direction, design and production of digital communication. The Maine Department of Inland Fisheries official website, www.maine.gov/ifw, was honored with a Vega Digital Award for their web presence. The Vega Digital Awards is an international competition for creative professionals who inspire with concept, writing or design, through electronic media. The Vega Digital Awards is administered and judged by IAA's panel of internationally-recognized creative professionals, who select winners based on rigorous standards of excellence. The Government Experience awards, formerly known as the Best of Web Competition, recognize the achievements and best practices of states, cities and counties that have gone to the web and beyond to radically improve the experience of government and push the boundaries of how citizen services are delivered. Out of more than 5,000 submissions from 50 countries, Maine.gov, has been awarded a Bronze Summit Creative Award by the Summit International Organization for its creative work in the government website field. 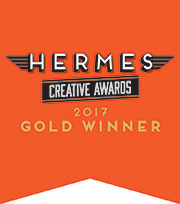 The Summit Creative Award recognizes and celebrates the creative accomplishments of small and medium sized advertising agencies and other creative groups. Participating judges come from both large and small-size companies and universities and for nearly 25 years, the competition has established itself as the premier arbiter of creative excellence for firms of this size. The official website for the State of Maine, www.maine.gov, has been honored with a Muse Rose Gold Award by the Muse Creative Awards competition. Out of more than 1,350 submissions from 37 countries, Maine.gov was recognized as having a creative concept, effective campaign and inspired messaging to its user groups. The Muse Creative Awards is an international competition for creative professionals who possess the unique ability to inspire with a concept, idea or design - whether through traditional materials or electronic media. The official website for the State of Maine, www.maine.gov, has been honored as a top government website receiving an award that recognizes achievements in the fields of both creativity and communications. The website received a Communicator Award of Distinction from the International Academy of Visual Arts. The Communicator Awards are an annual competition honoring the best in advertising, corporate communications, public relations and identity work for print, video, interactive and audio. The awards are judged and overseen by the International Academy of the Visual Arts (IAVA), a 600+ member organization of leading professionals from various disciplines of the visual arts dedicated to embracing progress and the evolving nature of traditional and interactive media. The Editor's Retail Choice Award™ from DealCrunch recognizes organizations that positively impact business, particularly those within the retail, hospitality, media, and entertainment sectors. The Maine Business Portal and resources available there through the Department of Economic & Community Development (DECD) has earned an Editor's Retail Choice Award™ by making it easier for business owners to find the information they need to start and grow their companies in Maine. The awards program honors organizations and brands across retail and broader business categories, combining industry knowledge and interview data to determine those that are best in class. Out of more than 5,000 submissions from 50 countries, Maine's Inland Fisheries and Wildlife Website, www.maine.gov/ifw, has been awarded a Bronze Summit Creative Award by the Summit International Organization for its creative work in the government website field. The Summit Creative Award recognizes and celebrates the creative accomplishments of small and medium sized advertising agencies and other creative groups. Participating judges come from both large and small-size companies and universities and over the past twenty-two years, the competition has established itself as the premier arbiter of creative excellence for firms of this size. The online Campground Reservations System, provided by the Maine Department of Agriculture, Conservation and Forestry in partnership with InforME, was one of eleven applications/programs to receive the StateScoop 50 Award for IT Program of the year. This award highlights the best examples of influential State and Local IT programs that have delivered cost savings, superior performance results and partnerships between agencies. The StateScoop 50 Awards recognize the extraordinary accomplishments and innovations of the top 50 state IT leaders from government and tech who are making meaningful contributions to their organizations and communities. Nominations are submitted by readers who are asked to identify visionary leaders, programs and rising stars that best highlight the transformational changes being made in state and local government. The Maine Board of Medicine Website, www.Maine.gov/md, has been honored as a top government website receiving an award that recognizes achievements in the fields of both creativity and communications. The website received a Silver Communicator Award of Distinction from the International Academy of Visual Arts. The state of Maine received national recognition for www.Maine.gov in the annual "Best of the Web" competition sponsored by the Center for Digital Government (CDG). Maine.gov was ranked as one of the top state government web portals for 2015. The Center for Digital Government is a national research and advisory institute that focuses on information technology and best practices in state and local government. Maine.gov was evaluated in a number of areas including innovation, web-based delivery of public services, efficiency and accessibility. For the thirteenth time in 15 years, Maine.gov has placed among the top 10 government websites in their prestigious "Best of the Web" competition. The W3 Awards honors creative excellence on the Web, and recognizes the creative and marketing professionals behind award winning Websites, Web Video and Online Marketing programs. The W3 Awards is sanctioned and judged by the Academy of Interactive and Visual Arts, an invitation-only body consisting of top-tier professionals from a "Who's Who" of acclaimed media, advertising, and marketing firms. The Maine Business Answers service, provided by The Department of Economic and Community Development, has been honored as a top online application receiving an award that recognizes achievements in the fields of both creativity and communications. The service received a Silver Communicator Award of Distinction from the International Academy of Visual Arts. The online Corporate Fraud Monitoring service, provided by the Maine Secretary of States office, was one of eleven applications/programs to receive the StateScoop 50 Award for I.T Program of the year. This award highlights the best examples of influential State and Local IT programs that have delivered cost savings, superior performance results and partnerships between agencies. The Center for Digital Government recognized the State of Maine with a Digital Government Achievement Award in the government-to-citizen category for the My Maine Connection Service. The online service is sponsored by the Department of Heath and Human Services. Maine’s official state web portal, www.Maine.gov, and Maine’s online one stop business portal, www.maine.gov/businessanswers, were each honored with an award that recognizes achievement in creativity, innovation and communication. The VEMA Awards were created to inspire talented individuals and companies striving to further evolve the visual arts and digital communications industry and to strengthen its collective artistic community. In 2014, only 11 public and private entities were recognized in the website category, the State of Maine received two of them. The University of Maine's official Web portal, www.Maine.edu, has been honored as a top education website receiving an award that recognizes achievements in the fields of both creativity and communications. The website received a Silver Communicator Award of Distinction from the International Academy of Visual Arts. With nearly 4,000 entries from across the US and around the world, the Davey Awards honors the finest creative work from the best small firms, agencies and companies worldwide. The Davey Awards is judged and overseen by the International Academy of the Visual Arts (IAVA), a 600+ member organization of leading professionals from various disciplines of the visual arts dedicated to embracing progress and the evolving nature of traditional and interactive media. Entries are judged to evaluate distinction in creative work. The Web Marketing Association was founded in 1997 to help set a high standard for Internet marketing and development of the best websites on the World Wide Web. The Web Marketing Association is the producer of the WebAward Competition. 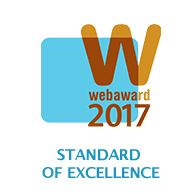 Now in its 17th year, the WebAward program is the premier annual website award competition that names the best websites in 96 industries while setting the standard of excellence for all website development. The Maine State Web Portal, www.Maine.gov, has once again received national recognition from the Center for Digital Government (CDG) distinguishing it as one of the top state government web portals for 2013. For the twelfth time in 13 years, Maine.gov has placed among the top 10 government websites by the Center for Digital Government in their prestigious "Best of the Web" competition. This year Maine was awarded a fifth-place ranking. The Center for Digital Government is a national research and advisory institute that focuses on information technology and best practices in state and local government. Maine.gov was evaluated on a number of areas including overall innovation, web-based delivery of public services, efficiency and functionality. Out of more than 5,000 submissions from 25 countries, Maine's official state Web portal, www.Maine.gov, has been awarded a Bronze Summit Creative Award by the Summit International Organization for its creative work in the government website field. The Summit Creative Award recognizes and celebrates the creative accomplishments of small and medium sized advertising agencies and other creative groups. Participating judges come from both large and small-size companies and universities and over the past seventeen years, the competition has established itself as the premier arbiter of creative excellence for firms of this size. Maine's official state Web portal, www.Maine.gov, has been honored as a top government website receiving an award that recognizes achievements in the fields of both creativity and communications. The website received a Silver Communicator Award of Distinction from the International Academy of Visual Arts. Maine.gov was named as a finalist by the Center for Digital Government in its annual Best of the Web competition for government web sites. This places Maine.gov as one of the top ten state government web sites in the country. Government web sites are evaluated based on their innovation, web-based delivery of public services, efficiency, economy and functionality. This award marks eleven top-ten placements for Maine.gov in the past twelve years of competition. The Center for Digital Government recognized the State of Maine with a Digital Government Achievement Award in the government-to-business category for the Maine Professional Licensing and Permitting Service. The online service is sponsored by the Department of Professional and Financial Regulation. Design Shack ranks websites based on the look and feel as well as features such as responsive design in three categories. Maine.gov ranked in the ?Cream of the Crop? category recognizing state sites that stood out better than the average site. The Center for Digital Government honored the My Maine Connection service with a Best Fit Integrator Award for Exceptional Service in Health and Human Services. The online service was developed by InforME (Maine Information Network) in partnership with the Department of Health and Human Services. The Center for Digital Government recognized the State of Maine with a Digital Government Achievement Award in the government-to-business category for the One Stop Online Background Check Service. The online service, sponsored by the Department of Public Safety and the Bureau of Motor Vehicles, was created to provide a convenient, up-to-date, and official source for Maine online background checks. Two successful eGovernment services in the state of Maine -- the Department of Corrections Online Money Deposit Service and the Judicial Branch Electronic Court Fine Payment Services -- were honored with the prestigious Best Fit Integrator Award for Exceptional Service and Modernization in Portals and Online Services from the Center for Digital Government. Maine.gov was recognized by Government Computer News as one of the top ten public sector sites for 2011. The award, which refers to Maine.gov as "a site for the independent-minded", praises Maine.gov for its transparency of government stimulus funding, its availability of state data through Maine.gov DataShare, and its accessible multi-media gallery. The Maine.gov website was awarded a Sunny Award by the Sunshine Review for being one of the most transparent government websites in the country. The Sunny Awards honored less than 1% of the 5,000 government websites analyzed in 2011. The Center for Digital Government has, for the second year in a row, recognized Maine.gov as one of the best state government sites in the nation. Maine.gov was ranked fourth in the 2010 Best of the Web Awards for state government Web portals. This marks the tenth year since 2000 that Maine's official web site has been named in the top 4 state government sites by the Center. The competition evaluates portals on the basis of online services, innovative technology, efficiency, and attention to ease-of-use, accessibility to the disabled, privacy and security. In addition, the Maine Recovery Act (ARRA) Electronic Reporting Solution application received a digital achievement award in the Government-to-Government category, and the Maine TankSmart application received an award in the Government-to-business category. The Center for Digital Government awarded Maine's KeepMEWell a Best Fit Integrator Award. KeepMEWell is designed to help Maine residents assess their risk for chronic disease, improve their health through education, and link them to local resources and supports that can help them decrease their risk of chronic disease and improve their health. Maine.gov has been recognized in the government category by Juggle.com as a Top Government Website for Maine's contribution to providing convenience for citizens when performing a variety of government related business. Creating a central online location for many of the errands that Mainers had to run around town for, such as; paying fines, license fees, or permits, to name a few has put Maine's portal a step ahead of other state's government services. Juggle provides factual information on over 300,000 topics and 1,000,000 products. The Center for Digital Government has once again recognized Maine.gov as one of the best state government sites in the nation. Maine.gov was ranked fourth in the 2009 Best of the Web Awards for state government Web portals. This marks the ninth year since 2000 that Maine's official web site has been named in the top 4 state government sites by the Center. The competition evaluates portals on the basis of online services, innovative technology, efficiency, and attention to ease-of-use, accessibility to the disabled, privacy and security. In addition, the Maine.gov DataShare application received a first place award in the Government-to-Citizen State government category. The awards were the result of public sector IT groups across the nation nominating their partner integrators whose solutions proved exceptional in areas such as cost savings, consolidation and public access. MSECCA is an annual campaign that is overseen by a committee of state employee volunteers, who recognize the importance of helping out their friends and neighbors who are in need of charitable contributions. This past year the State of Maine made a few enhancements to the service, implementing a complete end-to-end solution that included a new back-end database and a comprehensive administrative site for the campaign administrators and volunteers. The online donation service (interface) will be available to all State of Maine employees and retirees for year round campaign contributions. A national survey of state websites has identified Maine as the top-ranked state in the performance of e-governance. The research study was conducted jointly by the E-Governance Institute, School of Public Affairs and Administration at Rutgers University in Newark, and the Department of Public Administration at San Francisco State University (SFSU). The survey evaluated state websites in the areas of privacy, usability, content, service and citizen participation, and ranked the states nationally. Maine’s website ranked first in the categories of service and citizen participation, and was noted as a good example of government effectively engaging citizens online and providing services that increase efficiency and effectiveness. The National Electronic Commerce Coordinating Council (eC3) has selected Maine's Bureau of Human Resources HireME application as an honorable mention in this years award selection, representing the category of innovative use of the web in government management practices. This service allows citizens to create an account with BHR and submit eligible State job applications online. The service can be accessed through the BHR Open Competitive job listing. Maine does a great job of making election information both easy to find and easy to use, according to a recent report from the Pew Center on the States. “Helping voters educate themselves is one of our primary functions,” said Secretary of State Mathew Dunlap in response to Maine’s top ten ranking. “We take that job very seriously, and obviously the Pew Center recognizes the effectiveness of our educational efforts. It is our firm belief citizens have a responsibility to participate in our Democracy. By providing them a wealth of election-related information, we’re empowering Mainers to be involved in the electoral process.” The Pew Center report, entitled “Being Online is Not Enough”, considered a number of factors, including accessibility, content, whether or not the online information states provide could be easily used, and whether or not the information was helpful. The Center for Digital Government has once again recognized Maine.gov as one of the best state government sites in the nation. Maine.gov was ranked second in the 2008 Best of the Web national competition for state government Web portals. This marks the eighth year since 2000 that Maine's official web site has been named in the top 4 state government sites by the Center. The competition evaluates portals on the basis of online services, innovative technology, efficiency, and attention to ease-of-use, accessibility to the disabled, privacy and security. The Center for Digital Government recognized Maine's Bureau of Motor Vehicles' web-based Municipal Data Transfer Service with an Honorable Mention in its 2008 Digital Government Achievement Award competition, in the government-to-government state category. Maine was rated the sixth best state for eGovernment in the United States, according to the ninth annual survey of eGovernment effectiveness. Previously conducted by Brown University, this year the study was conducted by the Brookings Institute. For the seventh year, the Center for Digital Government has named Maine.gov one of the best state government sites in the nation. Maine.gov was ranked second in the 2007 Best of the Web national competition for state government Web portals. The competition evaluates portals on the basis of online services, innovative technology, efficiency, and attention to ease-of-use, accessibility to the disabled, privacy and security. Maine was rated the third best state for eGovernment in the United States, according to the eighth annual survey of eGovernment effectiveness conducted by Brown University’s Taubman Center for Public Policy and American Institutions. 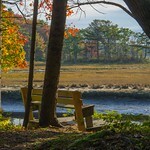 The study praised Maine’s site for its easy navigation, thoughtful prioritization of information and customizability. In three instances since 2004, Maine has been ranked among the top three states by the Brown University eGovernment survey. According to the Brown University report, the Maine.gov portal "is designed to allow people to get to the information they are looking for as quickly as possible." The report also praised Maine for having links to online services and language translation on nearly all of its websites. Maine.gov has again been named one of the best state government sites in the nation. Maine.gov was ranked second in the 2006 Center for Digital Government Best of the Web national competition for government Web site excellence. Since the Best of the Web competition began in 1996, Maine has received six top-three placements, making Maine.gov the most consistently honored Web portal in the country. The Center for Digital Government recognized Maine's suite of online motor vehicle services with a 2006 Digital Government Achievement Award in the government-to-citizen state category. Maine State Archives and the Information Resources of Maine (InforME) have received national recognition for the online delivery of genealogical resources. In the August, 2006 edition of Family Tree Magazine, the state's genealogy web site (http://www.maine.gov/portal/about_me/genealogy.html) was ranked among the nation's very best. The online crash report service provided by the Maine State Police, in partnership with InforME, has been awarded a Government Solutions Center Pioneer Award for 2006. This award recognizes public sector organizations for their efforts to deliver results-oriented government services during the prior year. The crash report service allows the public to search crash data and order official crash reports online. Crash reports are delivered electronically, typically within 24 hours of the order placement. Maine competed with nominated services from across the country at the state, federal, and local levels of government. Maine ranked second best in the nation for e-government websites for the second year in a row, in an annual research study conducted by Brown University. The study evaluates state government portals and a sampling of state agency websites (an average of 31 sites per state) on a variety of specific criteria including online services, disability access, privacy and security, readability, quality control, and communication with citizens. Maine.gov was praised for having a user-friendly portal with many opportunities for citizens to interact with government online. The report cited Maine.gov as "an optimal example of how a multitude of content can be arranged well with a pleasing design." The Center for Digital Government presented the first place award in its annual Best of the Web competition to Governor Baldacci at an eGovernment event held in Augusta on January 27. Maine.gov was rated the best state government portal in the country for 2004. The Secretary of State's SOSonline.org website was chosen as one of ten winners by a panel of editors from Government Computer News (GCN) and Washington Technology for innovate IT accomplishments. Maine's state government websites were ranked second best in the nation in an annual research study conducted by Brown University, jumping from 25th place in 2003. The study evaluates state portals and a sampling of state agency websites (an average of 31 sites per state) on a variety of specific criteria including online services, disability access, privacy and security, readability, quality control, and communication with citizens. Maine.gov was praised for having a user-oriented portal with excellent online services, Live Help, FAQs, news and weather. The report concluded, "Maine's site was uncluttered, informative, and easy to use." Maine.gov was named the nation's best state government Web portal this year, after placing in the top four for the past four years in a row. The annual Best of the Web competition by the Center for Digital Government evaluates government websites for their innovation, use of online technology to deliver government services, efficiency, economy, and ease of use. Maine was followed by Indiana, Virginia, Delaware, and Arizona in the 2nd, 3rd, 4th, and 5th rankings, respectively. Maine's Secretary of State website was awarded 5th Place in the "government-to-business" category of the 2004 Best of the Web competition by the Center for Digital Government. The Center for Digital Government announced the Top 25 states according to its Digital State Survey, including Maine at number 13. The survey is a comprehensive study on best practices and policies by state governments in their use of digital technologies, evaluating over 60 criteria in the areas of service delivery, architecture and infrastructure, collaboration, and leadership. Maine was ranked 16th in the 2002 survey. Secretary of State Dan Gwadosky's website (www.maine.gov/sos/) received a number three ranking in the Constitutional Officer category of this year's Best of the Web competition by the national Center for Digital Government. For the fourth consecutive year, Maine's state government web portal, Maine.gov, has been recognized as one of the best in the nation. This year Maine's portal was ranked #2 by the Center for Digital Government in the annual Best of the Web competition, behind Utah. Indiana, Washington, and Arkansas were ranked third, fourth, and fifth, respectively. The sites were judged for their innovation, use of online technology to deliver government services, efficiency, economy, ease of use, and citizen/community participation. In an evaluation of state government home pages by the Center for Digital Government, Maine received praise for a fast-loading home page that doesn't require the user to scroll vertically. Maine tied for the number five ranking with Georgia and New York. Long scrolling pages and slow load time were cited as markers of poor portal health. Maine's UCC Total Solution service was recognized as one of 30 exemplary electronic government applications from around the world by EGov and Federal Computer Week. UCC Total Solution was created through a partnership of the Bureau of Corporations, Elections, and Commissions and InforME. The service allows businesses to complete all UCC transactions with the state electronically, including searching and filing UCCs, a debtor name index, and document authentication service. Maine presented the service at the 2003 EGov conference in June. The Center for Digital Government rated Maine's portal second behind only Virginia in their annual Best of the Web contest for 2002. Washington and Pennsylvania tied for third place. Maine's submission was rated against hundreds of other state websites across the country. The sites were judged for their innovation, use of online technology to deliver government services, efficiency, economy, ease of use, and citizen/community participation. Maine has climbed the rankings over the last three years, receiving third place in 2001 and an honorable mention in 2000. 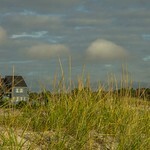 The newly redesigned Maine website was named Site of the Month by GovSpot.com. The editors praised Maine.gov's online services and declared, "The user-friendly site has a standard design that makes it easy to find information with just a quick click of a mouse." Each month, GovSpot.com recognizes an outstanding local or state government site as Site of the Month. GovSpot.com is a non-partisan government information portal. A January 2002 study by the PricewaterhouseCoopers Endowment for The Business of Government rated Maine's Web Portal 3rd behind California and North Dakota in delivering e-service. The study focused on openness, customization, usability and transparency. "Top states provide online access to services, contact information for key agencies, and have developed portals that are usable by most constituents of the state." The reported noted that states should emphasize customer service and organize the portal around events rather than departments. The Center for Digital Government rated Maine's portal third behind California and Pennsylvania in their annual Best of the Web contest. Perennial winner's Virginia and the State of Washington followed Maine. 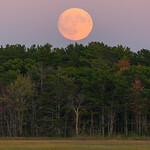 Maine's submission was rated against a total of 396 state and local government entries. The sites were judged for their innovation, use of online technology to deliver government services, efficiency, economy and ease of access. Last year Maine received honorable mention but improvements to the site allowed us to leapfrog several states to win this prestigious award. The Governor held a press conference on September 6th to tout this significant achievement. The State and Federal E-Government in the United States, 2001 study by Brown University rated Maine's state web sites first in accessibility. Quoting from the report, "When looking at disability access by individual states, it is clear there is tremendous variation in the percentage of each state's sites that are accessible. The states doing the best job on disability access are Maine (60 percent of their sites are accessible), Illinois (58%), Minnesota (54%), the U.S. Federal Government (53%), and Connecticut (48%)."